Fun Events for All Ages! Throughout the year, the Doyle Center hosts a variety of events for the community, not just for our members. Popular annual events include our 'Date with Dad', 'Mom & Son Superhero Date Night', and our Fall Festival. 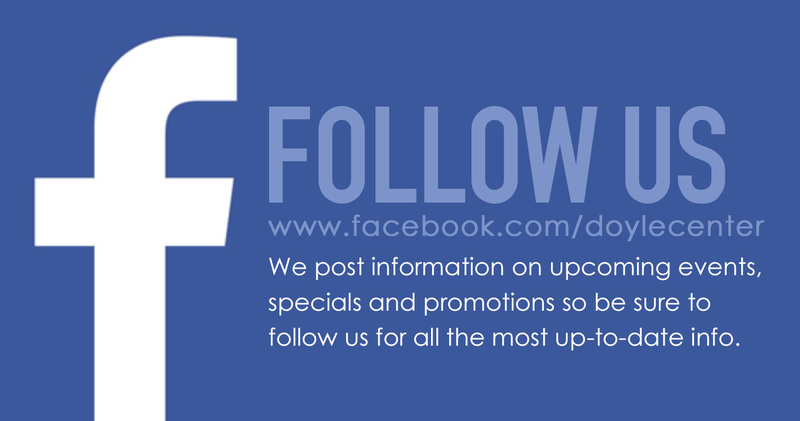 We post information on Facebook relating to upcoming events, or you can bookmark this page and check back to see what we've got coming up! This following list includes upcoming special events and program registrations. Upcoming fitness classes can be found on the FITNESS PAGE.